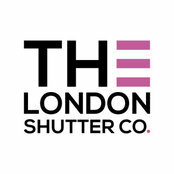 The London Shutter Company Ltd have been synonymous with superlative quality, imaginative and distinctive design and exemplary craftsman ship and service in and around London. Our team of specialist woodworkers, joiners, designers have always played a pivotal role in the company and are dedicated to producing the highest quality designs with meticulous attention to detail. 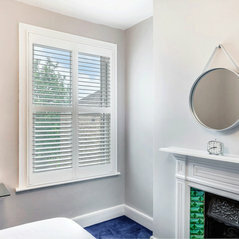 Hassle free, cost-effective specialists, here's what we provide: • Advice and questions answered • Quoting • Measuring – site surveying • Installation • Supply only service - UK Mainland • Customised Shapes • Bay Windows / Doorways / Velux • Custom Colour Matching – Paints and Stains • Ranges of Craftwood MDF, Hardwood, White Teak, Waterproof shutters, and Aluminium security shutters, Solid Panelled shutters. • All design styles – Full Height, Café style, Tier on Tier and Shaped Shutters. Want to book a site survey with one of our in-house experts? Request a call back. Any questions or queries? Contact the office. Looking for idea of cost? Get an online quote. Typical Job Costs:Costs depend on customers choices.